DWSS Mission Swachh and Swasth Punjab Creative Competitions 2017 is an initiative from Government of Punjab to promote safe water and sanitation in rural areas of Punjab. Department of Water Supply and Sanitation (DWSS) launched this competition to encourage the campaign about health & hygiene and motivate the people to build & use toilets and stop open defecation. 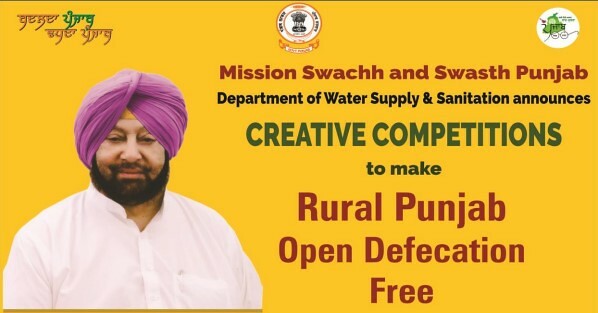 This DWSS Mission Swachh and Swasth Punjab Creative Competitions are open to all professionals, amateurs, government officials, the general public, etc. The application process for this competition is begun on 9 August 2017. Interested participants can submit their entries by 15 September 2017. This competition is open to all professionals, amateurs, government officials, the general public, etc. All content shall be generated in the Punjabi language. Any provocative, objectionable or inappropriate content in entry won’t be considered. The entries must conform to the thematic areas. In the case of not conforming to thematic areas, the entries shall be rejected. 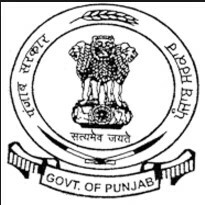 Candidates who want to participate in DWSS Mission Swachh and Swasth Punjab Creative Competitions must submit their entries before 15 September 2017. The submission must be accompanied by forwarding letter containing brief particulars and signed declaration of the contestant. Candidates can click on the following link to download the Declaration Form. The Slogan has to be submitted in MS Word/ JPEG/ PNG/ PDF/ TIFF format in any Punjabi font. The language of the slogan has to be Punjabi. The Images of slogans written in ink won’t be considered. There is no limit of words for the slogan but it should be catchy. The slogan should be the original property of the participant. The duration of Audio Jingle should be between 30-40 seconds with Punjabi ambience and to be submitted in MP3/MP4 format. DWSS may ask for the original and uncompressed audio file, if so required, in the separate communication. Participants should also provide some other information such as Description about the submission within 500 characters, such as names of the lyricist, composer, singer, etc. The audio jingle should be relevant to theme as well as catchy. The submitted audio jingle must be the original creation of the participant. The posters should be submitted in digital (format as CDR/PSD files size of poster shall be 11”x17” -Punjabi only Color Mode will be: RGB or CMYK). The digital poster has to be submitted in CDR/ PSD file format with ambience (Punjabi). The submitted poster must be the original creation of the participant. The duration of Short Video Film has to be between 3-5 minute in Punjabi language and the quality of video should be High Definition (HD) with English Subtitles, usually formatted at 720p (1280 × 720px) or 1080p (1920 × 1080px) HD resolution. The format of video film should be mp4/ mpeg. The video film should be able to engross the audience (Rural communities & villages). The video film must be the original creation of the participant. No animals should be harmed while preparation of the video film. The duration of Whats App video film has to be between 1 to 2 minute, amateur category using human characters or 3D animated video. The audience from rural communities & villages should be engrossed by the video film. The whatsapp video must be the original creation of the participant. The selection of winner entries would be based on the judgment of Committee constituted by the Head, Department of Water Supply & Sanitation. The decision of the Committee would be final. Once decision made by DWSS shall be final and binding and no correspondence will be entered into regarding the same. The selected entries and its copyright will be the property of the DWSS and any changes deemed fit to improve the same may be undertaken. The department may use the creative's for the promotion of the campaign at its sole discretion. The names of the winners of each of the competitions will be disclosed on 2 October 2017 through public notice, The candidates will also be notified separately at the address intimated by them at the time of submission. The selection panel will finalize the names of the candidates till 30 September 2017.